As soon as I stumbled upon the incredible images from Peter Callahan's cookbook Bite by Bite, I knew I needed to ask him about the inspiration behind his whimsical hors d'oeuvres. Apart from making sure the entrees are on point, the celebrated caterer also devotes time to creating delicious appetizers with a presentation that in and of itself is a feast for the eyes. Here, he not only explains why he puts so much effort into inventing these mini edible experiences, but also offers his tips on how you can make a splash at your own parties. What inspired you to create a recipe book full of small eats? Really, Bite by Bite was long overdue. After 20 years in the catering biz and countless requests from clients, it was high time I put my signature comfort foods into a book for others to enjoy at home. 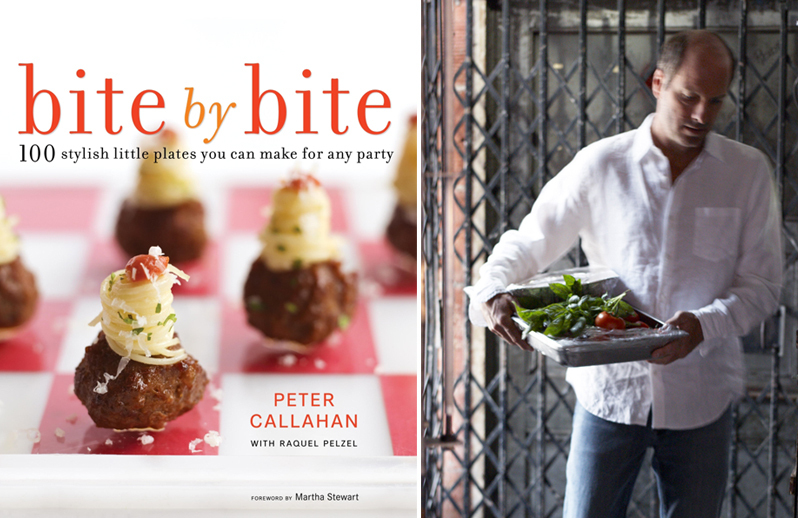 I’ve held nothing back really, most of the book lays out the exact recipes I would be making for your private parties. 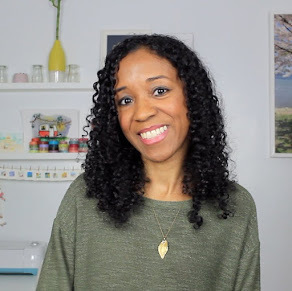 But for some of the recipes, I’ve offered shortcuts, time saving tips, and adjustments to make the labor-intensive bites easier to recreate at home. Remember, I have a team of chefs and cooks to prepare all the tiny details whereas, I would assume, you don’t! As a caterer, do you typically invest as much time into making and presenting the hors d'oeuvres as you do into the entrees? Everything on my menu, from hors d’oeuvres and beverage bars to plated entrees and passed desserts, are carefully conceptualized, tested, and perfected long before they ever get shared with guests. However, with most of my hors d’oeuvres it takes years to bring one from concept to execution as what seems so easy in theory, isn’t in practicality. Why? 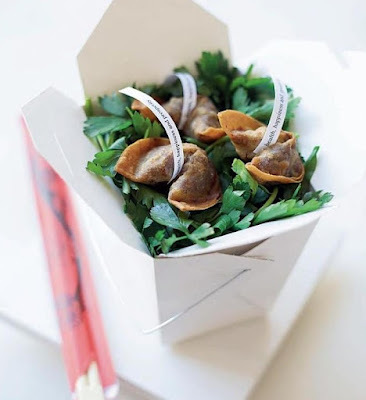 Because making Lilliputian portions of favorite American foods that are delivered in a thoughtful, stylish fashion is a brain tease. What do you typically keep on hand in your own home to create a quick appetizer? My version of “wine and cheese” - simple, delicious and easy. I learned long ago that keeping some fabulous cheeses on hand, like marscapone or asiago, both readily available at most markets, can be whipped up into something fabulous at a moment’s notice. For instance, simple fresh sliced pear can be layered with asiago for a light and fresh hors d’oeuvre that can be “paired” with small glasses of crisp white wine. What are the perks of serving a variety of small dishes to your dinner guests? It’s all about giving your guests an experience, something whimsical and fun always connects to a childhood or happy memory that they’ll talk about long after they leave the party. Nothing beats watching guests react with a smile to the playfulness I dream up, one hors d’oeuvre at a time. What are your sure-fire pleasers? On other words, what are those dishes you turn to again and again because they always deliver and impress? My signature mini comfort food hors d’oeuvres like pigs in a blanket, mini grilled cheese, sugared donuts, burgers and frites, spaghetti and meatballs, and lobster rolls, to name a few. The pigs in a blanket are served two distinct ways together: traditional pastry-wrapped, of course, and then my tongue in cheek version of pumpernickel, smoked salmon, and wasabi caviar. What are some unexpected ways that you serve your bites and how can this enhance an appetizer? I continue to innovate and design mini meals as one bite hors d’oeuvres. From forming crispy turkey skins into cups to hold stuffing, turkey confit, and cranberry relish for a Thanksgiving Dinner hors d to piling a compact swirl of spaghetti onto a meatball that skewers onto the end of a fork, it’s all about packaging big flavor into one whimsical bite. If it looks clever, chic, and appetizing on the tray, it’s sure to get eaten. The combination of stylish presentation and delicious flavor has allowed me to plan many incredible events over the years! Do you have any products or brands that you love to serve your tiny dishes in? So much of what makes my hors d’oeuvres so amazingly unique from other caterers, aside from their fabulous taste, is how they’re presented. All of our trays and presentations are custom-made designs, whether made of Douglas Fir for a Frank Gehry party, checkerboard red and white acrylic for the Italian Embassy, or white washed lattice for Martha Stewart. What are your favorite small bites to serve this time of year? The holidays are all about celebration and nothing screams “special occasion” better than caviar. I either serve them in tiny cones with crème freche or on my savory cracker spoons. 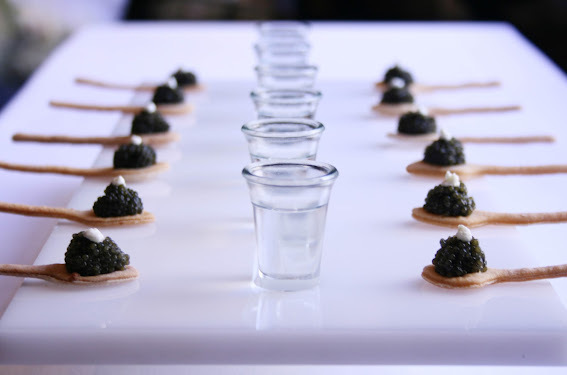 Again, as is my way, I like to pair caviar spoons on the same tray with ice cold vodka served in modern shot glasses. As a caterer to celebrities, politicians, and Fortune 500 companies, I'm sure you do your share of running around to make sure everything turns out perfectly. How can hosts keep stress to a minimum when entertaining during the holidays? It’s all in the advance planning. Knowing what your menu is, keeping it simple, not being overly ambitious or last minute in shopping or decorating should help keep stress to a minimum. Setting the table and prepping the bar the day before you are entertaining is key to keeping the day itself to food preparation. And, frankly, asking for help from family not only shares the burden but fosters happy holiday memories. Now when I asked Callahan to share a fun and simple holiday-themed recipe to share with you all, he said, "I can’t think of anything more festive than my cranberry martinis!" Cheers! Place the orange zest and juice, as well as 4 cups of the cranberries, the sugar, and 3/34 cups water in a food processor or blender, and puree. Strain through a fine-mesh sieve into a large pitcher. Stir in the vodka. Thread the remaining cranberries on twelve cocktail swizzle sticks, 3 whole cranberries per swizzle. Fill 12 of your favorite glasses with ice, and divide the cranberry mixture among the glasses, leaving enough room for a splash of sparkling water. 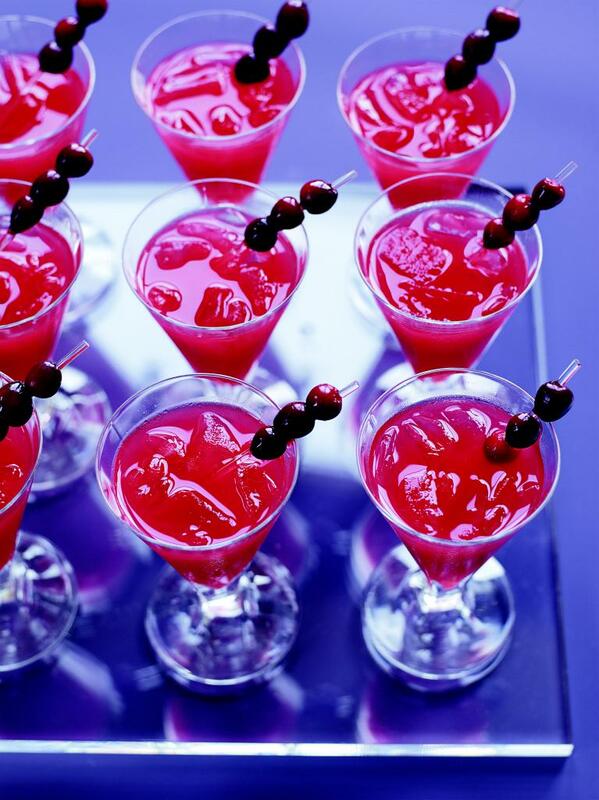 Just before you serve, add the splash of sparkling water and cranberry swizzles. The cranberry mixture (sans vodka) can be made ahead and refrigerated for up to 3 days. The swizzle sticks can be made 1 day in advance but store them covered with water in the fridge. How fun. I LOOVE appetizers and treats like the above. Am loving the wine and presentation of the cheese! Great interview! How cute is that pig in a blanket idea! If so much hadn't already been made for tomorrow's meal, I'd scrap it all and start over with inspiration from this post. Yum! Thanks for the birthday wish the other day, my dear! i am confused by the 3/34 cups water in the cranberry martinis, can you clarify?